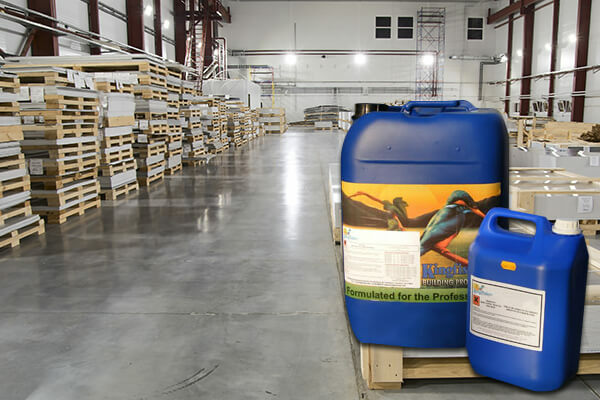 Kingfisher Floor & Wall Seal is a very fine particle size pure acrylic ester copolymer dispersion, formulated to provide an economic, yet tough floor and wall coatings sealer. Kingfisher Floor & Wall Seal is designed to prevent dusting on concrete floor surfaces both internally and externally and to protect concrete stone and many porous masonry substrates. It provides an excellent alternative to solvent based resin solutions which are normally used to consolidate and bind friable or porous masonry surfaces prior to decoration. Bought this for our dusty workshop floor. 25L did over 100 square m. Dries really quickly so we were able to do it in sections without moving everything outside. Excellent product and almost no smell.